The ResMed Swift™ FX for Her delivers all the comfort of our Swift FX nasal pillows mask in a design created specially for women. With its petite size, gentle fit and low level of facial coverage, the Swift FX for Her accommodates a female’s slightly smaller facial contours. It’s also light, soft and streamlined, allowing you to look and feel more like yourself. Size. Packed with XS, S and M pillows sizes to better fit female users. The length of the backstrap on the headgear is also shorter than the standard Swift FX for women’s unique needs. Comfort. Soft wraps enhance comfort at the cheeks. Available in grey and pink. Dynamic. Intuitive, quick fitting; stable performance, even at high pressures. Simple. Exceptional softness, simplicity and stability. 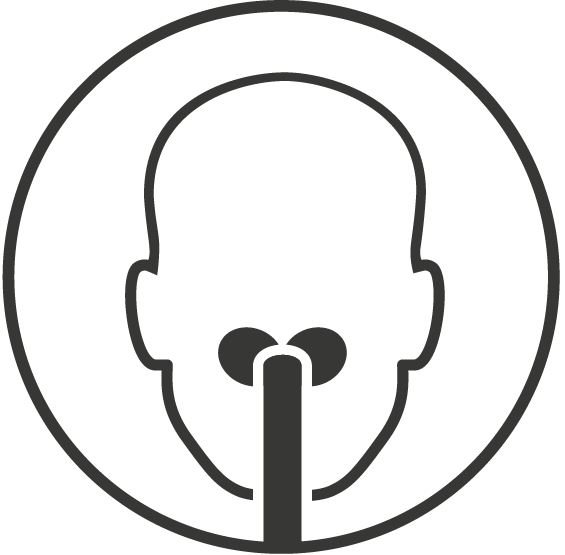 Flexible, fluid design conforms to your facial contours and movement. Style. 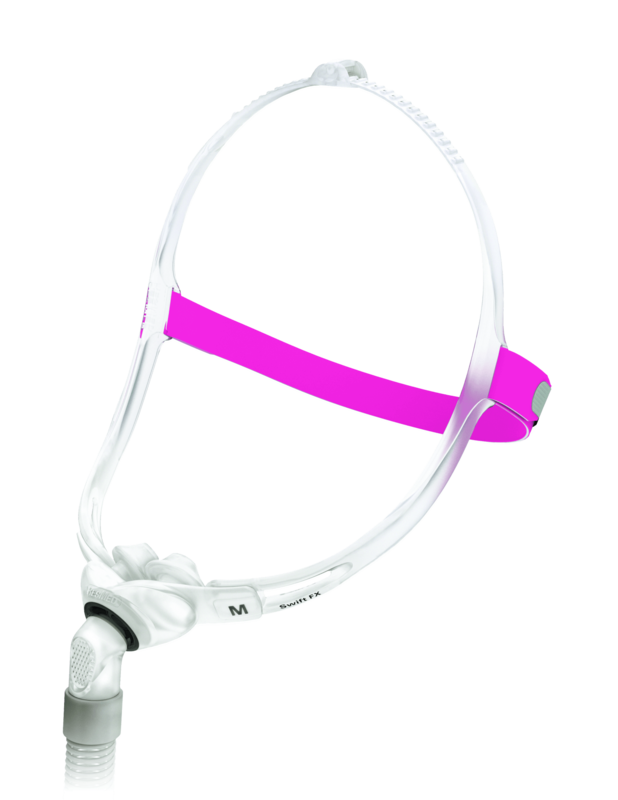 The pink backstrap lets you personalise your mask to suit you. With super-soft fit and a minimal appearance, the Swift FX makes it easy to forget about the mask and remember what it’s like to get a great night’s sleep.